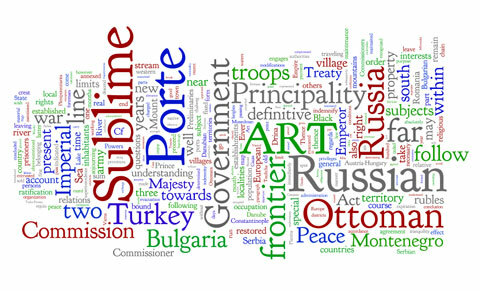 Information about miscellaneous categories of Bulgarian things. Bulgaria was one of over 100 countries to issue stamps commemorating the return of Halley's Comet in 1986. They issued a four stamp set as a souvenir sheet, with each stamp denominated 25 stotinki. Health and beauty company AVON have sponsored a clean white tram car on the number 10 line, calling on women to speak out against domestic violence. A speech by Mr. Anu Anguelov, Bulgarian Minister of Defence, at the spring session NATO Parliamentary Assembly in Varna on 29 May 2011. Full text follows. A Bulgarian postal cover from World War I, postmarked at Bucharest on 13 September 1918. Trams are an easy and practical way to get around the city. 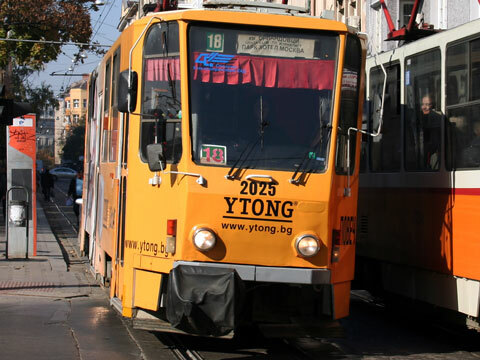 Help us collect pictures of different tram lines, especially new and interesting ads. In the Know : Whither the Euro? Euro adoption in Bulgaria is a question of when, not if. Timing is linked to meeting five convergence criteria concerning local economic progress. The 15th International Philatelic Exhibition, BALKANFILA, will take place at the International Fairgrounds in Plovdiv from 28-31 October. A list of all regular and airmail postage stamps issued by the Kingdom of Bulgaria between 1908 and 1931. Click to view stamps or to learn about the subject.